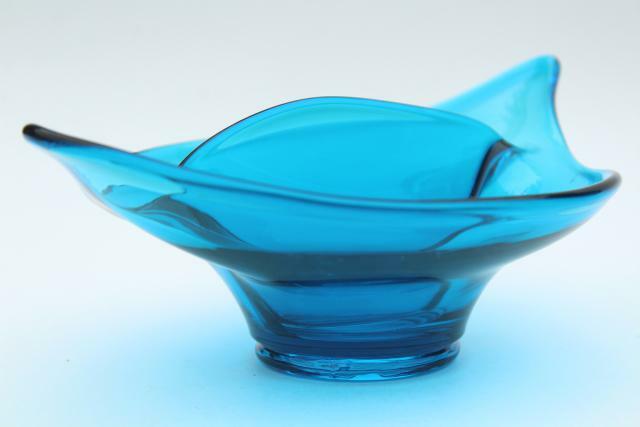 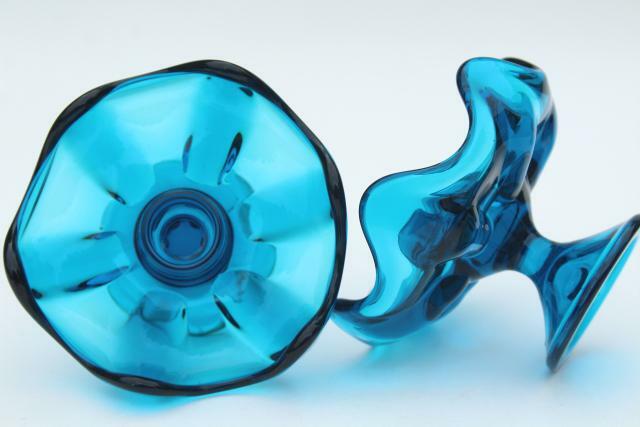 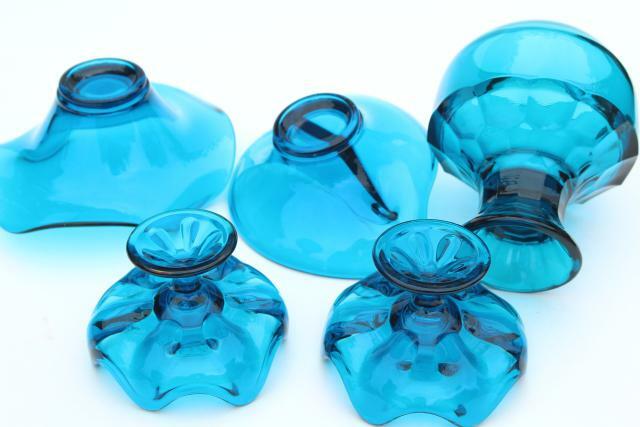 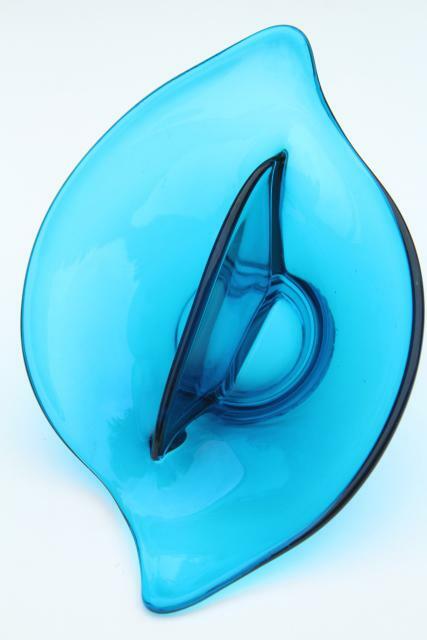 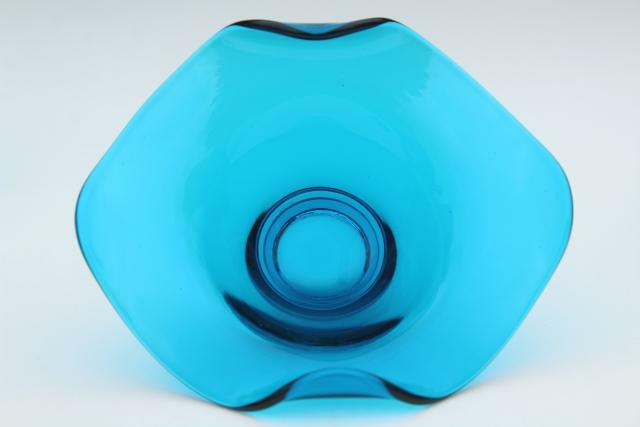 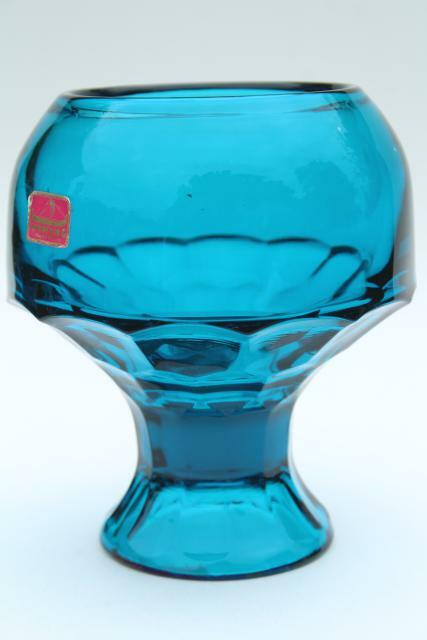 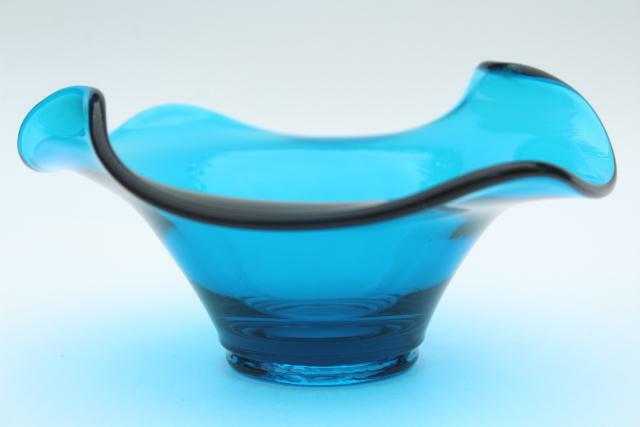 Instant collection of 60s - 70s vintage Viking Epic line art glass pieces, all in the vivid blue 'blunique' color. 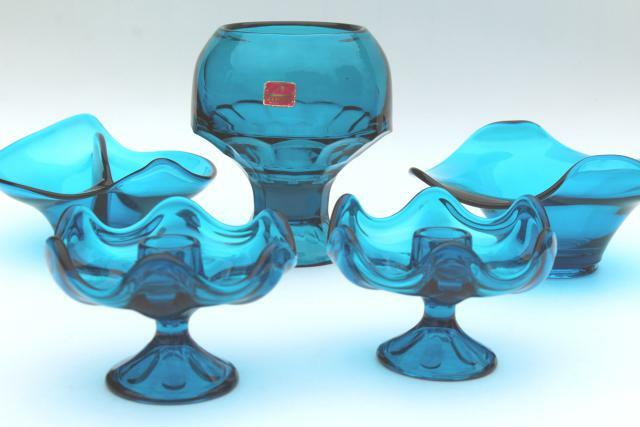 These are all in excellent condition, and make a lovely grouping together, or to mix and match as you like! 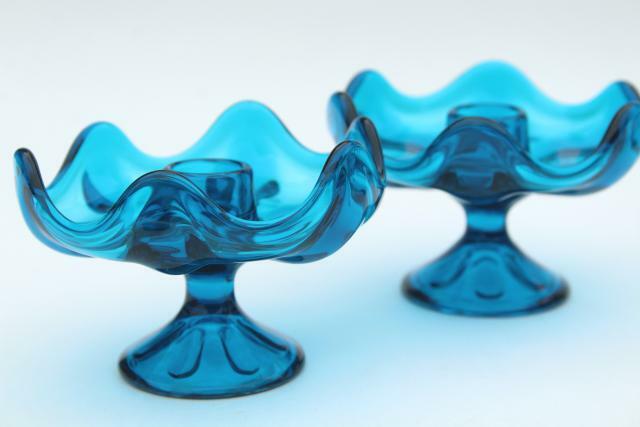 The big goblet vase measures about 6" tall, and the pair of candlesticks are made to hold candle tapers. 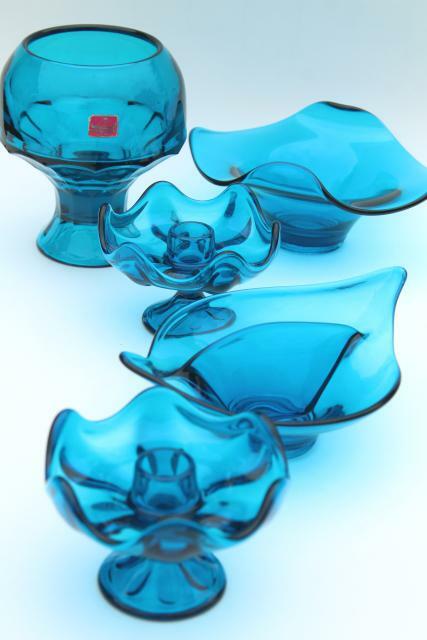 The bowls are sized for candy and nuts, or to hold low floral arrangements.